05.04.2017 - NEWS REPORT: Tatran-bound Slavko Goluža will coach Zagreb for the remainder of the season, after Silvio Ivandija left the Croatian club by mutual consent on Monday. 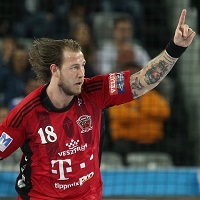 01.04.2017 - LAST 16 REVIEW: A confident home victory against HC PPD Zagreb sends 2016 runners-up Veszprém through to the VELUX EHF Champions League Quarter-finals. 31.03.2017 - LAST 16 PREVIEW: The Croatian side find themselves in a similar situation to last year, but can they pull off another shock – this time against the 2016 runners-up? 25.03.2017 - LAST 16 MATCH REVIEW: Hungarian giants Veszprém ground out a 23:22 win after a fascinating contest against Croatian rivals HC PPD Zagreb in the first leg of their Last 16 clash.